Create fabulous glitter art with stencils or draw your designs freehand! Clean the skin and stick on the stencil, apply a thin layer of adhesive. Once the adhesive is dry to the touch, dust with glitter, and voila! 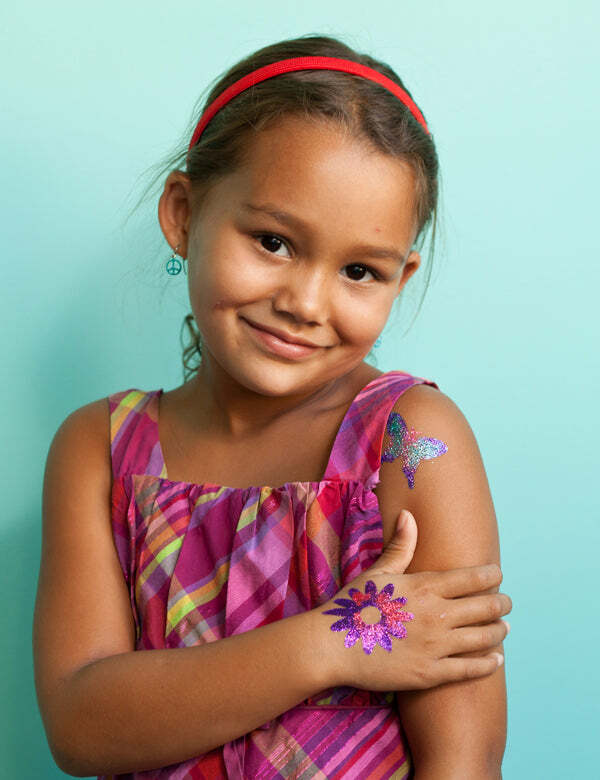 Sparkly, shimmery, shiny tattoos!